The largest island in the Mediterranean Sea, Sicily, attracts many tourists throughout the year due to the perfect swimming sites, historical locations and of course a spirit of the Sicilian mafia. Therefore, we have assembled a useful guide of what to do, ‘…When In Sicily…’. There are several fascinating attractions for true lovers of history and theatre. We strongly suggest taking a trip to Siracusa’s Greek theatre or watching a traditional ‘Opera dei Pupi’. Siracusa’s theatre is one of the finest and largest of its kind. Cut directly into the rock, it was enlarged and modified several times over the centuries, and is still in use today – Greek plays are performed here in May and June each year. The unforgettable atmosphere of the plays performed at the sunset and without sound system due to the original theatre’s acoustic quality attracts thousands of spectators from all over the world every year. The Opera dei Pupi, on the other hand, is a marionette theatrical representation of Frankish romantic poems. It is one of the characteristic cultural traditions of Sicily. The Sicilian marionette theatre Opera dei pupi was proclaimed in 2001 and inscribed in 2008 in the UNESCO Intangible Cultural Heritage Lists. Sicily is really famous for local Caltagirone’s ceramics. 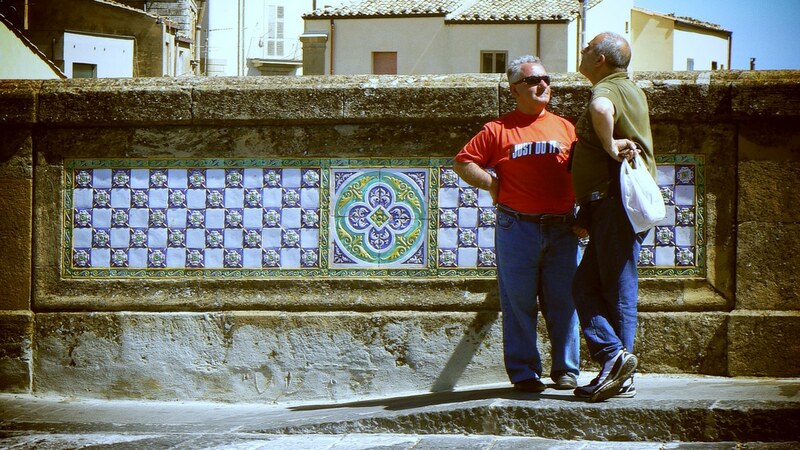 It originates from a small beautiful city of Caltagirone and is famous for quality and creativity. In fact, you can admire this craftsmanship by visiting famous local landmark – the monumental Santa Maria del Monte. This staircase is famous for 142 steps that all have hand-painted ceramic tiles, using traditional colours, shapes and patterns of the region. Moreover, Sicilian ‘Carretti’ is another local craft worth paying attention to. 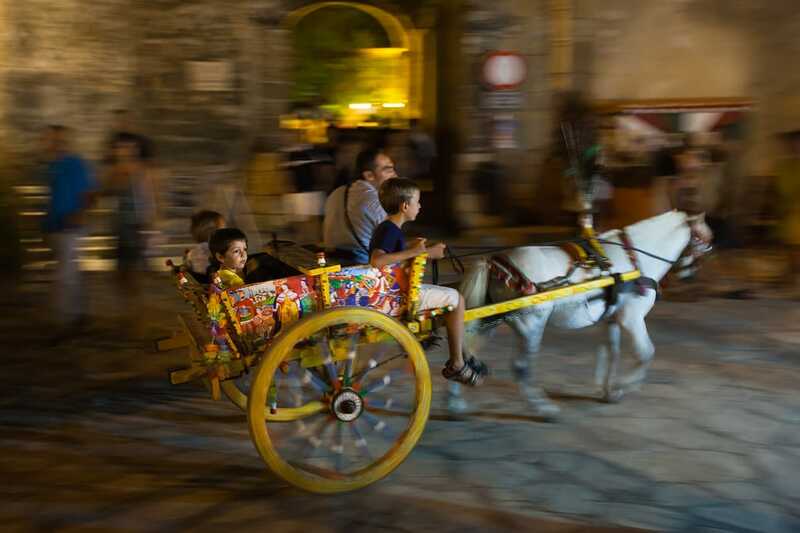 Locals on this Italian island are famous for creating ornate, colourful horse or donkey carts. These carts cannot be mistaken with any others as they are covered in carvings and brightly painted scenes from Sicilian history and folklore as well as intricate geometrical designs. This craft is handed down from generation to generation and with increasing popularity is bound to stay around Italian culture for many upcoming decades. 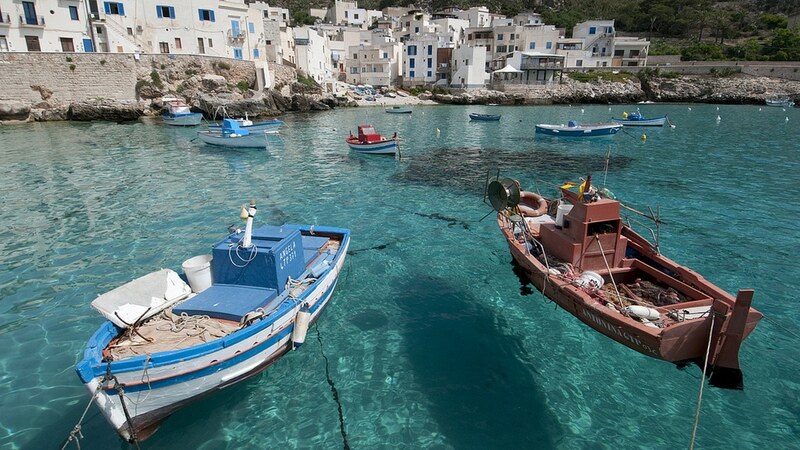 Three Egadi Islands’ are located few miles off the coast of Trapani. With a small population of 5000 citizens, the Egadis boast a long history and yet have somehow remained largely unchanged over the years. Islands offer a great deal of charm and diversity, it is still possible to find isolated bays and caves and deserted mountain paths that can take you through time into authentic Italian environment. Apart from Egadi, Sicily also gives you an opportunity to visit an island that locals inhabited since pre-historic times. Dammusi of Pantelleria is an authentic representation of unique local patrimony. It is impossible to leave Italy without trying the tempting national cuisine. Sicily can offer you several pleasant tasting opportunities as well. For instance, the winery of Pantelleria, located in Khamma district, welcomes wine lovers throughout the summer time. Visitors can experience guided visits through the wine cellar, the Zibibbo vineyards and the Pantellerian Garden. Additionally, you can take a trip to the beautiful city of Calatafimi Segesta that is significantly important. Savour a rich tasting of Sicilian products prepared as the ancient tradition of working by hand: cuccidati, cunzato bread, cassatelle, cannoli, sfince. 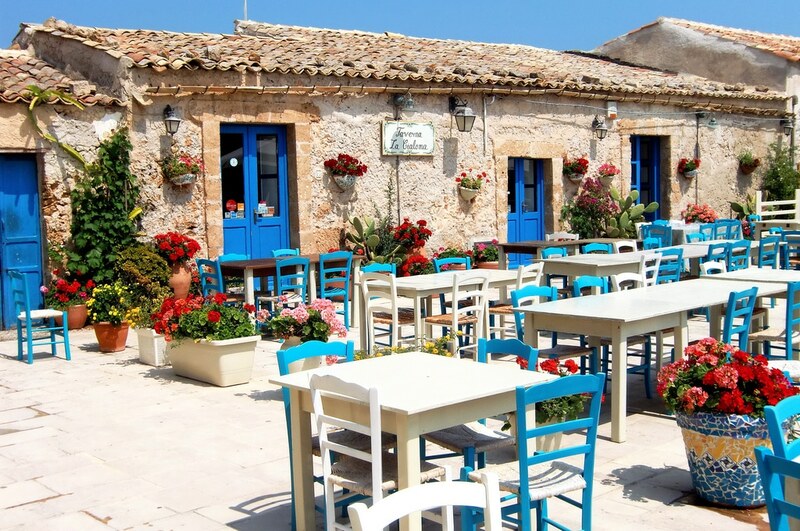 However, if you will be visiting any other picturesque sites on the island, make sure to try Granita, Cannoli, Cassata or Pasta di mandorle in one of the local restaurants. 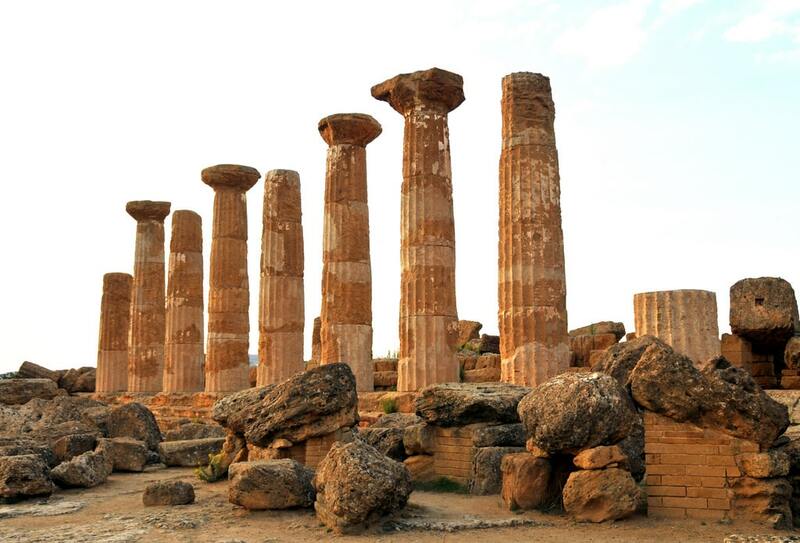 One of Sicily’s most famous historical attractions is the Valley of the Temples, just outside the city of Agrigento. This splendid archaeological park consists of eight temples, and various other remains built between 510BC and 430BC. Valley of the Temples is a must-visit destination for all admirers of vast European history and heritage. 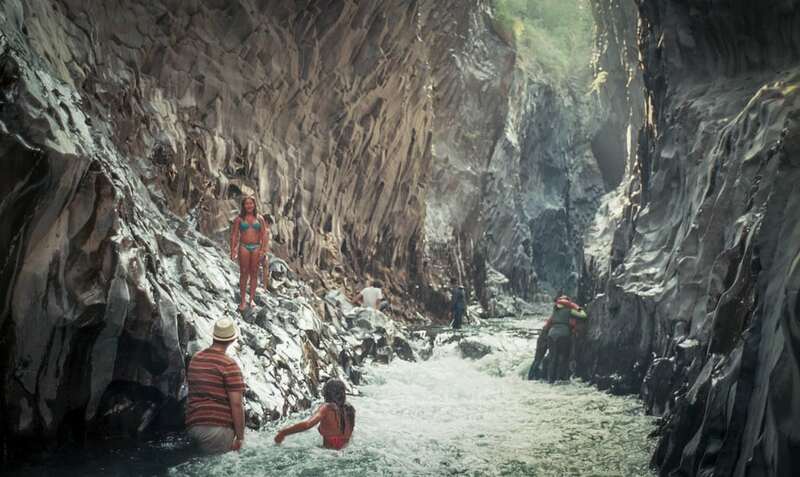 On the north slopes of Mount Etna is a very special place that tourists often overlook, the Alcantara Gorge. In fact, locals know this place well, as it is a great spot to cool off during the hot Sicilian summers. With significant popularity among locals and low travellers interest, you will have an authentic atmosphere of the region. There are not many volcanoes in the European region. Etna is one of the most active ones in the world and it is on the Sicilian Island. The volcano has not erupted for several million years and it remains to be fairly tempting. 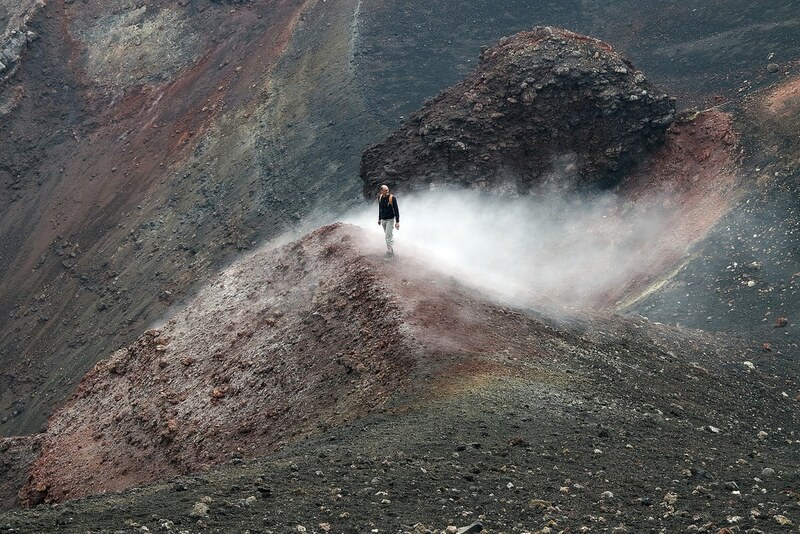 Therefore, Etna is one of the greatest and alluring tours to take in the region. Riserva Naturale di Stagnone, a wetland area of Stagnone Islands protects the shallow waters of the lagoon. 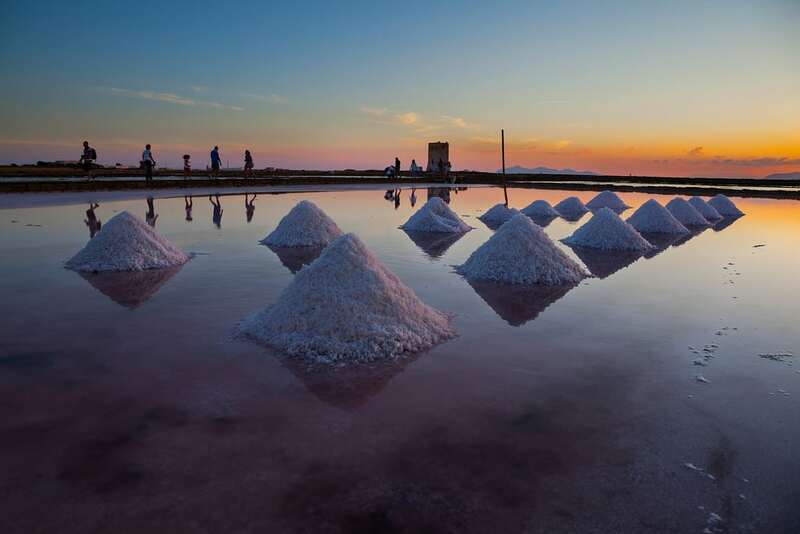 However, it is also an enticing spot along the coast, where the saltpans glitter undisturbed by modern construction. Saline of Trapani is, therefore, a perfect adventure for unconventional Italian landscapes. 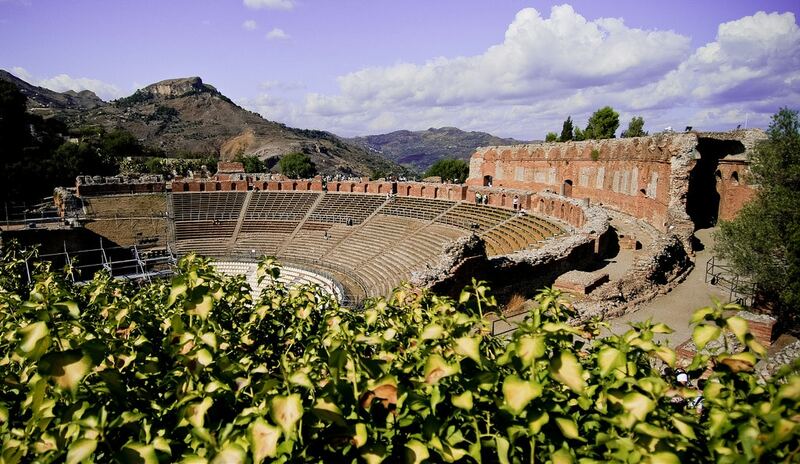 Spectacularly perched on the side of a mountain, Taormina is Sicily’s most popular summer destination, a chic resort of beloved by holidaying high-rollers and visiting celebrities. While it is unashamedly touristy and has a main street lined with high-end designer shops, the town remains an achingly beautiful location with gorgeous medieval churches, a stunning Greek theatre and sweeping views over the Gulf of Naxos and Mt Etna. Taormina might be your perfect spot for relaxation on the coast. 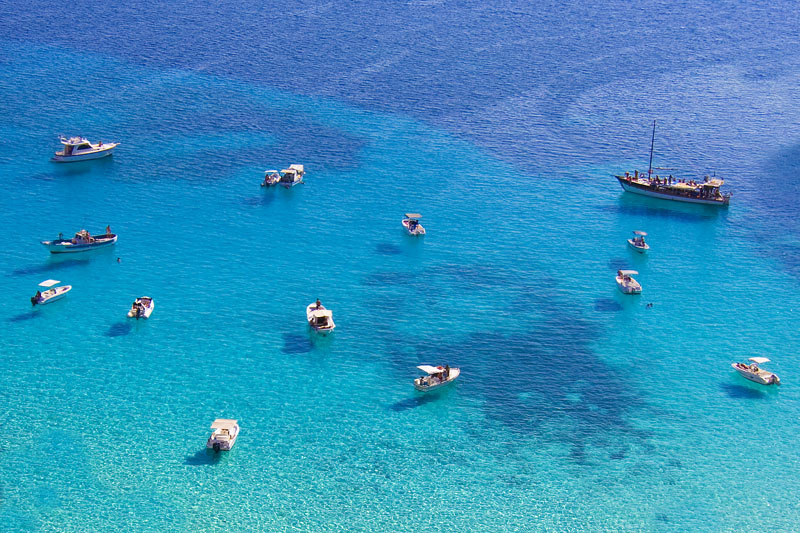 Undeniably, Sicily is a famous Italian destination for perfect beach holidays with its astonishing coast. 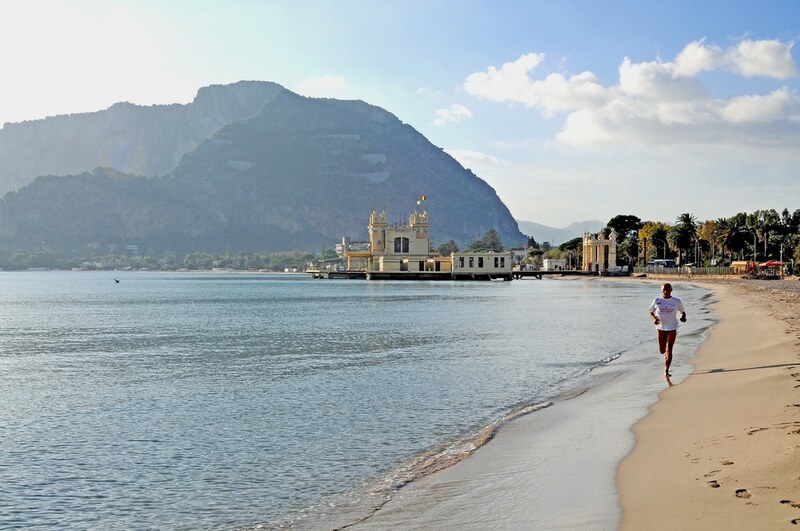 San Vito Lo Capo is a charming coastal town in the Trapani area. With a great sandy beach, it is the most beautiful one in Italy. Therefore, you might consider San Vito Lo Capo for your remarkable seaside holidays. Additionally, we would advise you to take a catamaran trip around the Lipari Island. Lipari is the largest of a chain of islands in a volcanic archipelago, whereas a boat trip next to it will leave you plenty of thrilling picturesque memories. Also, it is a perfect opportunity to enjoy a private swim in the sea without the crowds of tourists. 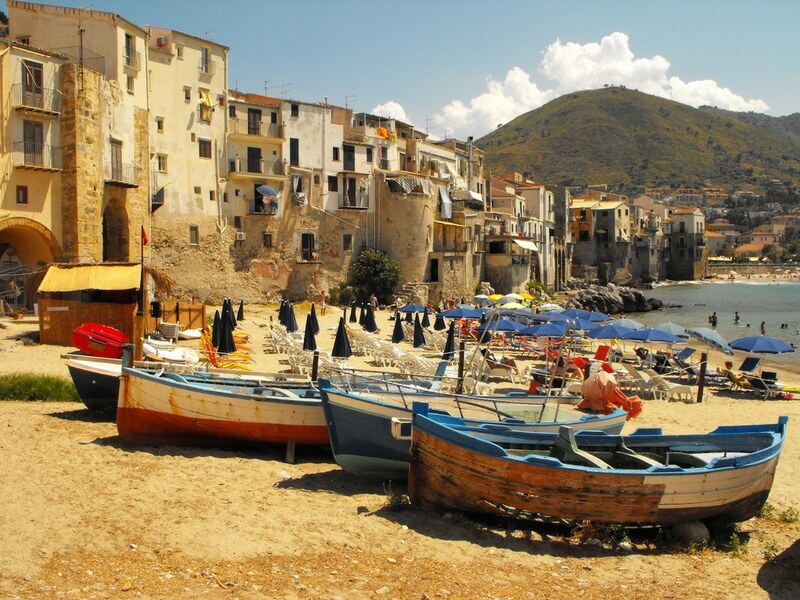 Overall, Sicily is the biggest separate island of the Italy and a location of many interesting experiences. From tasting local food to travelling around astonishing coastal cities, everyone will find an exciting activity for himself.